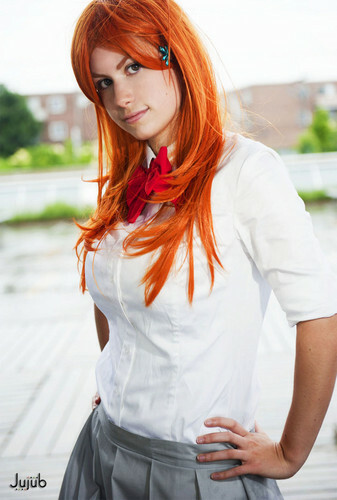 ✼Orihime Inoue Cosplay✼. . HD Wallpaper and background images in the animé Bleach club tagged: bleach anime orihime inoue orihime inoue. This animé Bleach photo contains portrait, headshot, gros plan, and closeup. There might also be haut, retour au début, robe de cocktail, and gaine.